Are you planning on getting married in Australia? Then, you may need to look for a single status certificate translation services provider. And the best way to make sure that your document gets accepted is to obtain a NAATI certified translation. Getting married can be exciting but nerve-wracking at the same time. You have to plan and prepare months before the set date. There are tons of things to worry about. This includes your documents. 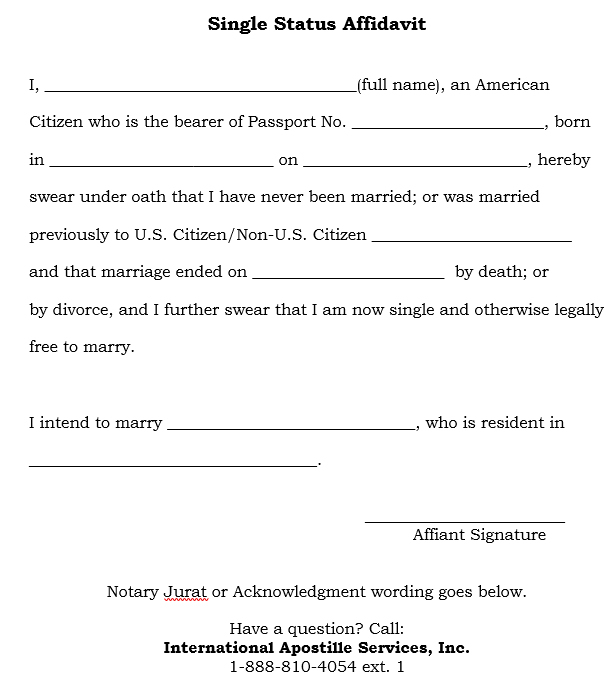 If your document is not in English, you will be required to find a NAATI translator to handle your single status certificate translation. A NAATI certified translator has passed several exams given by NAATI. Since NAATI is the accreditation body and national standard for both the translation and interpretation industry, all NAATI certified translations are ensured to be high-quality, reliable and accurate. For this reason, most Australian authorities will look for NAATI accredited translations. We have a team of handpicked, native speakers and NAATI translators who are experts and professionals in providing NAATI certified translations. Order a translation today and be confident that your translation is 100% accepted by any Australian authority. Among the many document specialties of OPAL Translation, single status certificate translation services are one of them. For more than seven years, we have provided thousands of NAATI certified translations. This has helped us in becoming one of the leading providers of quality translations that are NAATI certified. Time and quality are very important to us. As such, we have built a team of experienced and highly skilled NAATI translators who are capable of completing a project on time but with high quality. Whether you are in a hurry or not, we can accommodate your needs. We offer both standard and express single status certificate translation services. For a minimum of $69, you can get your documents translated by NAATI translators. We have one of the lowest rates in Australia. Check it out by completing the translation form and attaching your document. In just 15 minutes, you will receive our firm quote absolutely free! Our customer support representatives are always available via live chat or email to answer your questions. On any day, you can get in touch with us. One of the benefits you get when you work with OPAL Translation is that you can simply take a photo of your document or scan it and upload via the translation form. You can get a quote, order a translation and receive your translation all online. Here are some of the languages that we translate from. Don’t see the language you’re looking for? Get in touch with us, and we’ll find the most qualified translator to take on your project. OPAL Translation is famous for its fast turnaround time. Our standard single status certificate translation services take around 2 to 3 days to complete. If you have urgent translation projects, we offer express single status certificate translation services where you can receive your translations in no more than 24 hours. Contact us today and let us know your deadlines. We’ll be sure to complete your documents before the set time. Yes, your translation will be NAATI certified. Our NAATI translators are sure to provide you with high quality and accurate translations that are free from any error. We guarantee a 100% acceptance rate. Yes. Using our live chat and translation form, you can order a translation online. It just takes a few minutes and a few clicks. And the best part is that there’s no need for you to come to our office. Skip the heavy traffic, stay at home and don’t waste time. With OPAL Translation, you can focus on what’s important while we translate your documents. Simply, follow the instructions below to start. If you need a hard copy for your document, no worries, we can send you a certified hard copy via Australian post. It will take an additional 3 to 5 days for the hard copy to reach your address. Interested in our single status certificate translation services? Just follow these steps, and you’ll receive your translated document in no time. Fill in the translation form. Take a photo of your document or simply scan it and send it to us via the form. We will be sending you the exact quote in just 15 minutes. If the quote is within your budget, you can proceed to pay for your translation order via bank transfer, credit or PayPal. We will start the translation process once we receive your payment. Once your document is complete, we will email you a draft of the translation soft copy. Please review it and let us know if it is satisfactory. If it’s all good, we will send you the final soft copy via email.